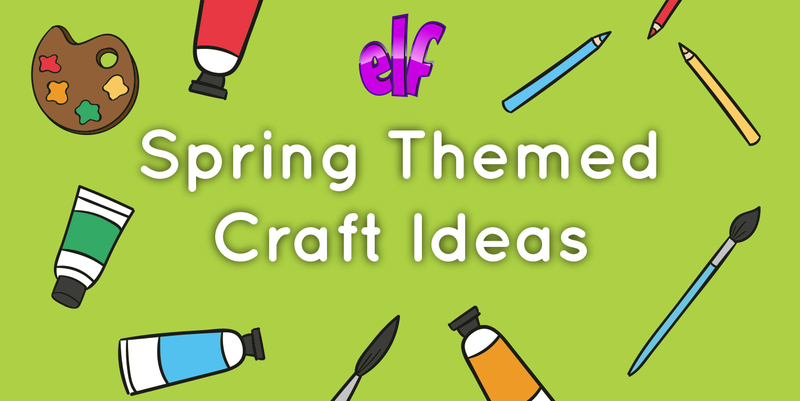 Spring is slowly starting to peek through (despite Storm Gareth’s best attempts to quash it) which means now is the perfect time to brighten up your home or classroom with some spring themed crafts. We’ve been trawling the web to find the most creative and unusual crafts for your little ones to get involved in, with each project varying in difficulty and age suitability. These worms are a great art project to spend an afternoon completing, and they’re suitable for almost all ages. 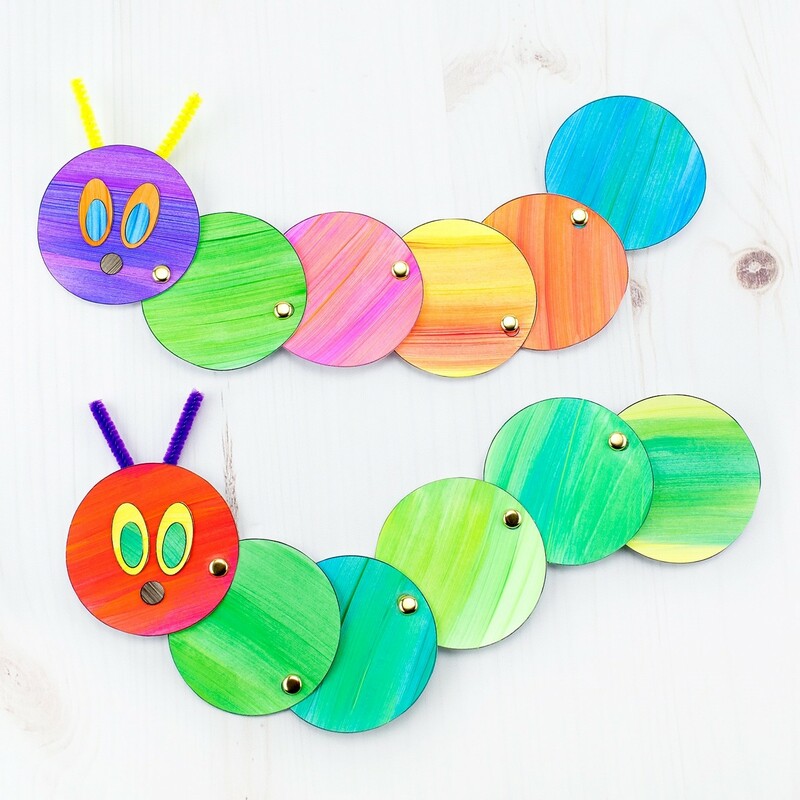 This caterpillar or worm is a great project because it’s open to interpretation. You can either cut circles out of coloured card, or you can colour/paint plain paper or card with your own unique designs. Simply cut out circles and decorate them (if necessary). Line them up and add craft pins to secure each circle to the next. Finally, draw on a face and you’re done! The craft pins allow you to move your worm as much as you like; creating hours of fun for creative minds. What we like about these flowers is that not only are they a great project, they’re also really practical too! Depending on the age and ability of the child, these flowers can be as simple or as intricate as you like. Start off by drawing a large outline of a flower on your card, paper or felt and cut it out. For younger children you can print off a stencil online and get them to colour it in instead. Repeat the process three or four times with the flower outline getting smaller each time. Glue the smaller flowers into the centre of the bigger flowers and allow to dry. You can add decorations to create the centre of the flower if you want to. 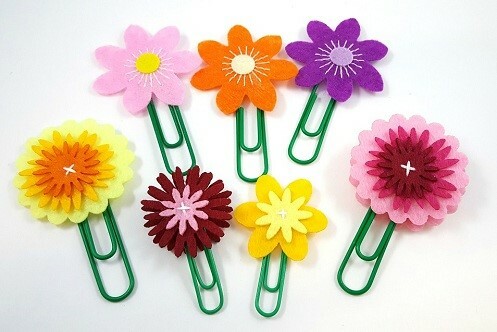 Next, glue the layered flower on top of the paper clip and voila! You have yourself a spring themed bookmark perfect for marking your progress in your favourite bedtime story. This one is ideal for younger children as there are less steps involved. First of all, start by drawing two butterfly wings. If you don’t want to draw them, you can always print a stencil off online. Next, colour or paint your wings with any pattern you like and add decorations such as glitter, sequins, beans and foam shapes. 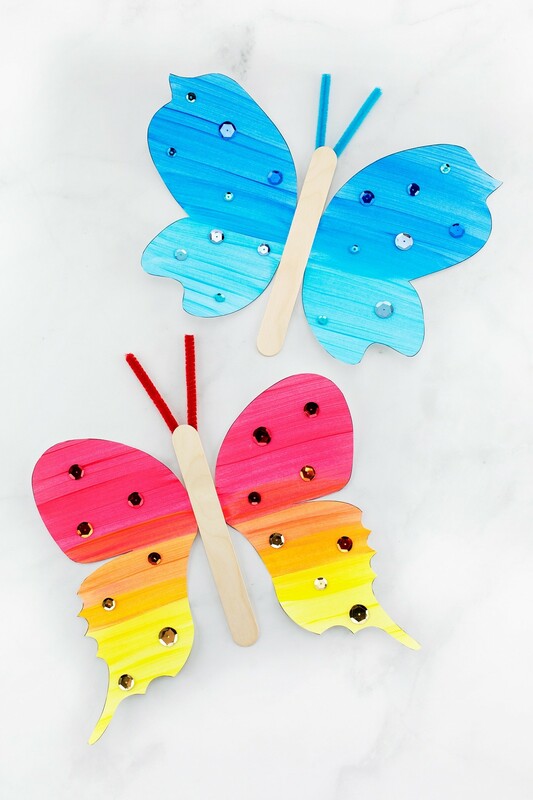 Finally, cut out your butterfly wings and stick your lollypop stick in the middle of the two.When you're done, why not hang your butterfly on the fridge or in the window to brighten things up? Arts and craft activities can get messy and storing all your supplies can be difficult. Why not browse our range of Art Storage to help keep things organised? Our Art Trolley with 8 Deep Trays is perfect for home or classroom art storage. The larger trays mean you can fit everything you need inside easily and tidily, and the wheels allow you to move the trolley between locations with minimal effort. With a range of 17 tray colours and seven frame colours, this art trolley can be customised to suit any interior. Looking for something bigger? The Bubblegum Art Cupboard is ideal. This art cupboard has four shelves on the inside of each door, as well as four deep trays and eight shallow trays for additional storage. The cupboard also features six adjustable shelves and one fixed shelf which are ideal for paper storage or for drying artwork. Have you tried any of these craft ideas yourself? Connect with us on Facebook, Twitter or Instagram and share your pictures with us and with fellow parents. At Early Learning Furniture we are experts in early years’ education resources including classroom furniture, school dining furniture and school play equipment. For more information about our products please contact us.